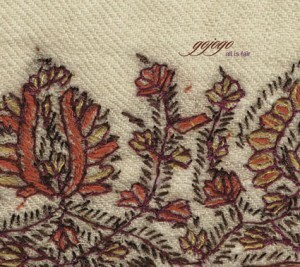 This is Gojogo’s exciting debut album, following their successful eponymous EP. Gojogo infuses the spirit of tradition with uninhibited originality. The band combines violin and acoustic bass with the unique rhythms of Indian percussion and the hypnotic beats of electronic samples. Original compositions feature improvisation over structured forms, creating spontaneity with the intimacy of chamber music. The title of this album, All is Fair, derives from the famous proverb “All is fair in love and war.” The title track, with its driving rhythms and intense crescendo, reflects social and political times as we know them. Produced in collaboration with artist and film maker Thomas Campbell, Campbell created the cover art, and the songs Yangsta and Aviary were featured in his recent surf film Sprout. Sarah Jo Zaharako plays throughout the U.S. and Canada, and has performed at Carnegie Hall and the Tanglewood Music Festival. Elias Reitz plays with Brightblack Morning Light and Triangle. You can hear Eric Perney on the title track of Tom Waits’ Alice and the Shrek 2 soundtrack. Ben Mawhorter is a student of world renowned tabla master Pandit Swapan Chauduri.